for polyethylene, referred to as the PE. PE synthesis of raw materials from oil, because oil is rich in resources, its highest output in the first. 1. General performance: PE resin for the tasteless, non-toxic white powder or granules or, the appearance of white, wax-like feel, low water absorption, less than 0.01 percent. PE combustible, oxygen index was 17.4. 2. Mechanical Properties: PE mechanical properties in general, lower tensile strength, creep resistance performance is not good, but better impact resistance. 3. Thermal performance: PE heat resistance is not good, with the molecular weight and crystallinity of the change to improve. 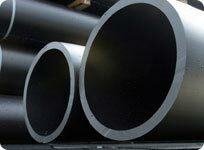 PE good low temperature resistance, embrittlement temperature of -50 ℃ above, with the increasing weight of up to -140 ℃. 4. Electrical properties: PE The Promise, therefore, very good electrical properties. Low dielectric loss, can be used for high-frequency insulation. 5. Environmental Performance: PE is a paraffin-type polymer inert, has excellent chemical stability. At room temperature can be acid, alkaline, aqueous solution of salt corrosion. However, intolerance oxidants.